Kasey Malone is one of 1,200 people who fan out every week across Kansas City. Their goal is to spend 30 minutes reading with a student. The effort is part of the Lead to Read program - a program that has blossomed thanks to people like Malone. KANSAS CITY, Mo. — Kasey Malone is one of 1,200 people who fan out every week across Kansas City. Their goal is to spend 30 minutes reading with a student. The effort is part of the Lead to Read program - a program that has blossomed thanks to people like Malone. “When people ask where I'm going on Wednesdays during lunch, and I tell them about it, everyone seems to think it's the greatest thing they've ever heard,” Malone said. If you were to visit a school when the volunteers arrive, you might be struck by the parade of people walking through the hallways. Each of these adults will meet with an eager student, who's just waiting to dive into a book. Malone told us that he's been passionate about reading since he was just 3 years-old, because he says it can help a person expand their world. That's something he sees with his young reading partner. 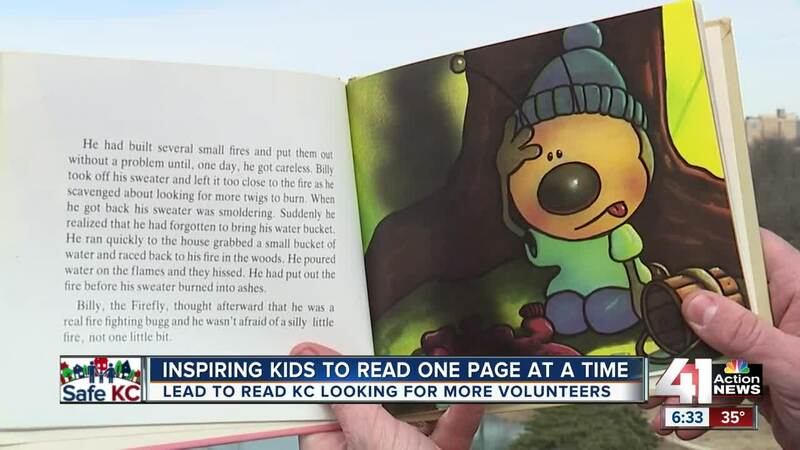 When you think of a crime-fighting tool, you likely wouldn't think of a first-grader's book, but the people behind Lead to Read are hoping those books can make the city of Kansas City much safer. "Studies show that 3rd grade is truly a turning point for kids in their education," Pauly Hart, Lead to Read KC’s executive director, said. Hart said the program focuses on first through third grade because in fourth grade, students switch from learning how to read to reading to learn more. That's the beginning of a dangerous spiral Lead to Read is trying to help kids avoid. Their volunteers come from jobs all over the metro, including more than twenty from the Kansas City Police Department. Officer Jake Becchina, a three-year volunteer himself, thinks about the numbers every time he sits down with a student. Those interested in the half-hour-per-week project can go to to Lead to Read's website for more information.